On August 1st Travis Kalanick, CEO and co-founder of Uber, finally admitted defeat regarding the company’s three-year crusade to gain a foothold in China, with the ‘merging’ (most consider it a ‘sale’) of Uber’s Chinese operations with local incumbent Didi Chuxing. Whatever Kalanick may have recovered from the concession, it seems unlikely that Uber will recoup the billions it has already poured into its most distant territory. But there was no alternative – by January of this year, the Uber board was urging that the ride-sharing giant – such an indefatigable combatant in so many contested territories – throw in the towel. Ultimately Didi was going to win this battle; despite cash and equity of $28 billion vs Uber’s $68 billion, Didi had reserved $10 billion to strengthen its grip on this fundamental societal change in China – almost on a par with what the better-financed Uber was willing to invest. A headline-grabbing contest of this nature gives the false impression of China as isolationist in terms of cooperating with global tech startups – it isn’t. The country runs a UK-China tech incubator in Shenzhen, backed by Tencent and providing crucial advice on the peculiarities of the Chinese market to Brit startups. The deal even offers free office space, business counsel and pitch opportunities. Whilst willing to repel boarders on the scale of Uber, China has no problem in contributing to a post-Brexit UK brain drain. Likewise Alibaba runs a similar scheme to increase tech migration from the United States – almost impossibly tempting for new companies dazzled by the economy-of-scale that Chinese success promises, and struggling for attention in saturated home markets. Perhaps the most useful aspect of these international schemes is the business advice from native sources – western entrepreneurs see huge opportunities in Chinese numbers, yet fail to take account of national psychology; either on an individual level (the Chinese consumer), or at the level of a state which is well aware of its riches – and needs only as much western genius to exploit them as serves its future interests in the post-sharing economy. China’s numerous fans of the novel “Cloud Atlas” will be familiar with author David Mitchell’s adage: There ain’t no journey what don’t you change you some. As many in the world’s most populous country pack their bags this week and leave on jet planes for horizons far, authorities here are hoping that Chinese travelers, too, will transform – specifically by becoming more mannerly international travelers. After a series of embarrassing recent incidents, China’s state-run media Xinhua recently did its part to help citizens discern good behavior from bad by publishing an online guide to overseas etiquette. “Who wants to be labeled uncivilized by foreigners?” asks the Xinhua article, published a few days ahead of this year’s Spring Festival Holiday. To avoid that, the piece offers advice to travelers, including items tailored to specific destinations. On Safari in Kenya? Please, get permission before posing and saying “cheese!” next to Masai warriors. And keep your hands off that ivory. The same applies to coral: It belongs in Fiji and not on auntie’s shelf in Fujian province. Vacationers from the People’s Republic have acquired a reputation for being unruly at times, and have lately made global headlines by attacking flight attendants, fighting in airplane aisles and opening emergency doors in non-emergency situations. Recent incidents have led China to consider establishing an air-passenger blacklist that would ban travelers who continually misbehave. A relative newcomer to overseas vacations, China has been quick to catch the travel bug. According to the China National Tourism Administration, more than 100 million Chinese ventured abroad in the eleven month period ending November last year. By contrast, in 1998 that number was just 8.4 million. 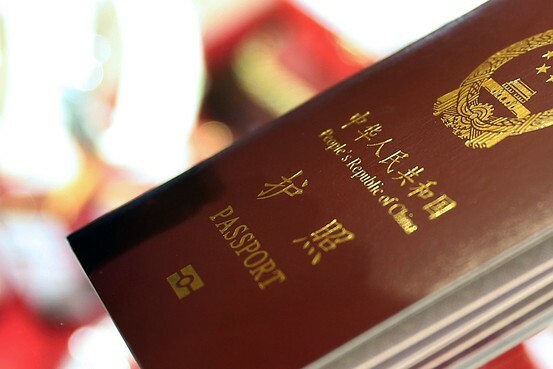 In a recent report, Hong Kong brokerage CLSA said it expects the total number of Chinese outbound travelers to hit 200 million in 2020.
via Don’t Wear Pig T-Shirts in Dubai: Xinhua’s Official Online Guide for Chinese Tourists – China Real Time Report – WSJ. China’s top brand is no longer a state-owned company, nor is it e-commerce giant Alibaba Group Holding Ltd.BABA +0.85% It’s technology player Tencent Holdings TCEHY +3.45%. 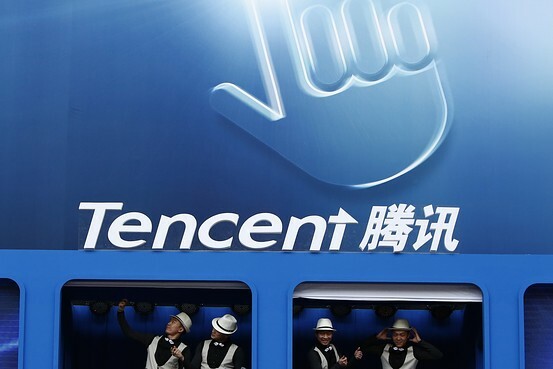 In a ranking of the top 100 most valuable Chinese brands by research from agency Millward Brown and media company WPP, Tencent, China’s largest online-games and social-networking company, ranked No. 1 with a brand value of $66 billion, ahead of No. 2 Alibaba’s $59 billion. Tencent’s WeChat and QQ messaging services propelled it to the top of the list, said Doreen Wang, global head of Millward Brown’s BrandZ division. Tencent’s rise unseats state-owned telecom giant China Mobile, which has held the top spot since the ranking’s launch in 2010. It also marks a sea change for China’s private-sector companies, which now account for 47% of the value of the top 100 brands. To calculate rankings, Millward Brown and WPP analyze financial data of listed companies’ brands, pairing it with survey data from more than two million consumers in over 30 countries. China’s state-owned enterprises have long dominated China’s list of leading companies. In 2010, of the top 50 Chinese brands identified in the report, state-owned companies occupied a third of the list and accounted for an estimated 70-75% of the $280 billion total combined value of the top 50. Today, it’s a different story. In the past year, the government as has pushed private sector reforms and talked about the need to let market forces play a “more decisive” role in the economy. Alibaba’s public listing last year also contributed to the jump in value for market-driven brands, Millward Brown said, adding that technology brands have also for the first time surpassed financial institutions, becoming the highest valued sector in the rankings, representing 23% of the top 100’s value. Search giant Baidu Inc.BIDU -1.66% ranked No. 5, behind China Mobile and Industrial & Commercial Bank of China Ltd.
Tencent now ranks fifth in the world for global technology leaders’ brand value, according to MIllward Brown. Google Inc. is No. 1 with $158.8 billion, with Apple Inc. holding the No. 2 spot, followed by International Business Machines Corp.and Microsoft Corp. Yet, even with Alibaba’s record-setting IPO and Tencent’s various successes, Chinese brands haven’t gained global recognition, said Ms. Wang. Only 22% of consumers surveyed outside of China could recognize a Chinese brand in 2014, a slight rise from 20% the year earlier. Chinese brands need to clarify what they stand for and need to ensure that they can satisfy needs beyond the Chinese market for them to gain more recognition, said Ms. Wang. “They need to consider what kind of benefit they bring to global consumers,” she said. via China’s Top 100 Brands: The Private Sector Reigns Supreme – China Real Time Report – WSJ. Business Week: “With 1.3 billion people, a quickly expanding urban economy, and rising rates of Internet and smartphone penetration, China generates an immense amount of data annually. If streams of that data can be appropriately sifted, analyzed, and stored, companies seeking to understand China’s often-fickle consumers could have access to valuable real-time insights—and perhaps early warning to the next big consumer trends. At a presentation last week at Peking University’s Guanghua School of Management, China’s premier business school, associate professor of marketing Meng Su predicted: “China will soon become world’s most important data market.” He advised job seekers in China and elsewhere to consider training for a new career path as “data scientists,” which he described as “one of the most valuable jobs in the next 10 years.” Interpreting big data seems poised to become big business. China’s government has signaled its intention to help domestic enterprises develop the infrastructure necessary to store and analyze “big data”—that is, data sets too large to be handled by traditional database-management tools and software. The current Five Year Plan, which aims to stimulate “higher-quality growth,” names seven strategic “emerging industries,” including next-generation information technology. Meanwhile, leading Chinese firms, especially Internet companies, have already begun to incorporate big data into their strategies. Jack Ma, founder and then-chief executive officer of China’s e-tail giant Alibaba, declared last fall that the company should focus on three pillars of future business: e-commerce, finance (providing loans to small and medium enterprises in China), and data mining. In January, Alibaba underwent a restructuring that, among other changes, created a data-platform division with about 800 employees, as reported in the Chinese financial magazine, Caixin. The Alibaba Group has just begun to scratch the surface of analyzing the reams of user data generated through its business-to-business e-commerce site and its massive consumer-to-consumer platform, Taobao.com. via In China, Big Data Is Becoming Big Business – Businessweek. Chinese innovations are catching up, fast. There is also the next generation Internet in play already. Chinesesearch engine giant Baidu was jealous of Google’sinteractiveglasses, so they decided to create their own. With completely original, independently developed technology, of course. Google Glass is certainly a very interesting product, which is already in the last straight to before going on sale. Not everyone, however, intend to passively watch this project. Baidu, the Chinese search engine giant, decided to create their own interactive glasses. As reported by Reuters, Baidu, the giant behind China’s largest search engine, developed interactive prototype glasses similar to Google Glass. The project, called “Baidu Eye,” is being tested by the company, but they do not know whether it will ever be commercialised. It is not known yet whether it will ever go on sale, though we are experimenting with various technologies for search, a Baidu spokesman said. So what features would the glasses of “Baidu Eye” have?